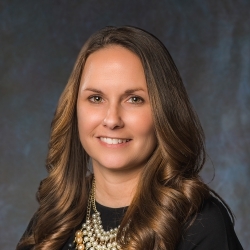 Tonya Sexton is vice president of marketing and development at First Electric Cooperative. She and her daughter live in Cabot. Originally from Mountain Home, she graduated from Arkansas State University with a degree in communications. She is currently on the board of the Arkansas Hunger Relief Alliance and Past President. She is a member of the Little Rock Air Force Base and Camp Robinson/Camp Pike community councils. She has participated in Cabot Rotary since 2011 and is a graduate of the NRECA’s Managerial Internship Program (MIP) and Leadership Greater Little Rock Class XXI. 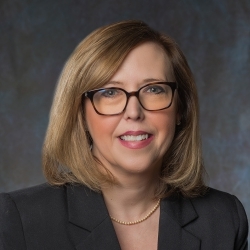 She also is a former board member of the Cabot Chamber, Jacksonville Chamber, Junior Achievement of Central Arkansas and Metro Little Rock Alliance. Doug Brandon has worked for First Electric Cooperative for 32 years. 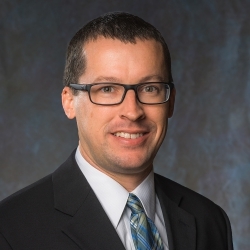 He is a Certified Key Account Executive (CKAE) through the National Rural Electric Cooperation Association and a Certified BPI Building Analyst Professional through Building Performance Institute, Inc. He is a graduate of LeadAR, Arkansas Agricultural and Rural Leadership Program (Class 11). He is also a graduate of the Community Development Institute (CDI). 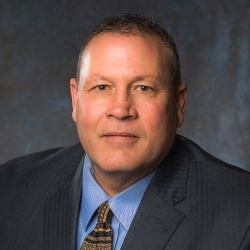 He serves on numerous boards including the Central Arkansas Intermodal Authority, Tri Peaks Tourism Association; and is board chair for the Board of Visitors at the University of Arkansas Community College in Morrilton. Doug is a board member, past president and incorporator of the Perry County Industrial Development Corporation, and an original incorporator, past president and past board member of the Perry County Area Chamber of Commerce. He serves on numerous committees including the Uncommon Communities Steering Committee for Perry County and the Perry County Farm Family of the Year Committee. He was the 2009 Citizen of the Year by Perry County Area Chamber of Commerce and the 2014 Outstanding Service Award winner for the Perryville Masonic Lodge #238. He retired from the Perryville Fire Department with over 32 years of service to his community. Doug has a bachelor of science in engineering from Arkansas Tech University. He enjoys spending time with his family, hunting and raising cattle. David Copeland has worked for First Electric Cooperative for eight years. He has lived in central Arkansas his entire life and enjoys opportunities to volunteer and serve in the many communities served by First Electric. He is an active member of Stanfill Baptist Church, the Kiwanis Club of Cabot and several Chamber of Commerce’s in Central Arkansas. David also enjoys coordinating events for children and adults that promote First Electrics number one priority, safety. Away from work, David enjoys spending time with family and traveling. 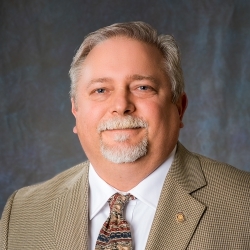 A 30-year employee of First Electric Cooperative, Anthony Galloway is a Certified Key Account Executive (CKAE) through the National Rural Electric Cooperation Association and a Certified BPI Building Analyst Professional through Building Performance Institute, Inc. He serves on the boards of the Heber Springs Chamber of Commerce and Cleburne County Economic Development Corporation. He is a board member for the Rotary Club of Heber Springs and is a twice recipient of the Rotary Paul Harris Fellow. He is also an advisory board member for the Child Care Aware of North Central Arkansas. Anthony has a bachelor of arts degree in political science and history from Lyon College in Batesville. David Hannah has over 10 years of experience working for First Electric Cooperative in Marketing and Development and over 20 years in the utility industry. He serves on the board of numerous community organizations including The Greater Bryant Area Chamber of Commerce, Rotary Club of Bryant and the Bryant Boys and Girls Club. David graduated from John Brown University with a Bachelor of Science in Organization Management and Marketing. He has called Saline County home for over 25 years and is very involved in the community.